Locust is a system for load testing written in Python (https://locust.io/). It’s easy when you need to write a few simple tests with HTTP requests only. It starts to be fun when you want to use a different protocol and write more complicated and complex tests. I’ll assume you have a basic Python knowledge. If you don’t know Locust, please start with studying its documentation. Unfortunately, Locust gives us no option to keep partial results (each request time). Collecting such times can be important for example when we want to show the number of requests in time function. Locust doesn’t allow us to collect all logs and save it in one place (for example file on master node). Fortunately, we can easily store partial results to file or print them on screen. As you see, at first we load basic logger (line 6). 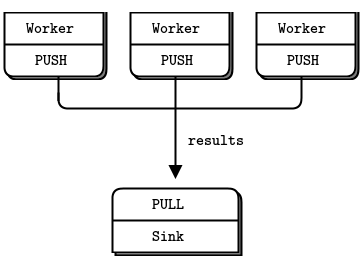 Basic configuration can be set using environment variables (lines 8–10). Log format and date format are set in lines 12–15. If the path to a log file is set, we create the new handler and add it to our basic logger (lines 17–28). In line 36 we use our logger to write a message to file. As you see, this is only a task-start time. We still need some more info. To get times of particular requests we need to use Locust’s events mechanism. In the example above we created 2 new functions and add them to Locust’s events. Locust now will call this functions every time when requests are ended (with success or failure). Both functions must take arguments: request_type, name, response_time, response_length/exception and **kwargs. The function which handles success should take response_length argument, and the one which handles failure should take exception argument. **kwargs is optional but can save us some work much later, if Locust’s API will change and it will try to put some additional arguments to our function. Now, we have each request end time (‘time’), its response length (‘response_length’) and time (‘response_time’), so we can aggregate it in every second, minute or just keep it this way and compare with other collected parameters like CPU or memory usage in context of time. This is not the end of the journey. Logs from all slaves in one place — that’s our destination. To achieve this we need to decide how to send logs via a network. We can use some kind of REST API, publish-subscribe system like Apache Kafka, the messaging system like MQTT, or just ZeroMQ (project’s web-page: http://zeromq.org/). Unfortunately, there’s also one issue with it — but in our case it’s not so important. There might be a problem with the communicates order. What I mean by that is — not always requests made to the attacked system will occur in the same order in our sink. I’m writing about this because sometimes we need exact order — then this solution is not for you. It would be better to use e.x. Kafka for such purpose. In our case however it’s not so important —we know that every test is different and we always need to assume some small measurement errors. For us most important is to register all requests. The diagram above illustrates exactly how our system should work. Each slave (worker) should rapport each request to the master (sink). “Sink” could be built into Locust’s master, but in our case, it would be faster and more convenient if we start the dedicated app. Great! The sink is ready! Set ZMQ_SINK_LOG_FILE variable and start the script. As you can see, we created a new class which inherits from the logger.Handler class and “knows” what to do to log to ZMQ sink (emit method). Then we created handler using our new class and add it to default logger. At first — you should do it better I did in the example above. What I mean is you should divide the code into few files. I did it in one file is to clearly show the difference between them and to keep everything clean in my Gist. Third — there are other options to send logs via a network. Some are even “built into” Python’s logger (https://docs.python.org/2/library/logging.handlers.html). You need to use the solution the best for you, but creating our own ZMQ sink and logger is both fun and instructive. Locust.io - let's get some fun!